Dr Jeff Gates's research interests are in: (a) Engineering failure analysis and forensic metallurgy; (b) Abrasive wear and wear-resistant alloys. Dr Gates received his PhD from Monash University in 1985 and spent 15 years as an academic and senior researcher at the University of Queensland before starting UQ Materials Performance. 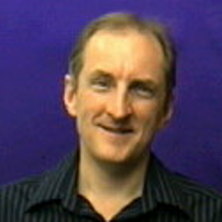 He has been the Principal of UQMP (http://www.uqmp.com/) since its inception in 1998. (a) Engineering failure analysis and forensic metallurgy; (b) Abrasive wear and wear-resistant alloys. Dr Gates's work in engineering failure analysis and forensic metallurgy over the last 18 years has led to a national profile as an expert in this field. The professional consultancy and contract research business UQ Materials Performance, which he founded and directs, has gained a reputaiton as a unique resource for the rigorous investigation of component failures, especially those with major adverse consequences (escalating from financial losses to injuries, fatalities and even multiple fatalities). In this context Dr Gates has acted as an expert witness in numerous litigation cases and industry tribunals. He gave evidence at the 2009 Victorian Bushfires Royal Commission, and was a key witness in three of the subsequent Class Action lawsuits, most notably the Kilmore East - Kinglake class action, which was the largest court case in Victoria's history. Haberer, Joe, Gates, Jeff and Fifield, Robin W.S. (2014). Resistance to abrasive wear and metallurgical property assessment of nine casing-friendly hard-banding alloy chemistries: Abrasion resistance assessment using ASTM G65 methodology (standard test method for measuring abrasion with dry sand/rubber wheel apparatus). In: , , (482-514). .
Gates, J. D. and Gore, G. J. Wear of metals: Philosophies and practicalities. Inst of Metals & Materials Australasia, 1995. Hall, Daniel, Dargush, Matt and Gates, Jeff (2007) Stone tools in the information age. Australian Mining, 99 8: 41-43. Atrens, A., Truss, R. W., Dahle, A., Schaffer, G. B., St John, D. H., Caceres, C. and Gates, J. D. (2004) Graduate attributes in relation to curriculum design and delivery in a Bachelor of Materials Engineering Programme. International Journal of Engineering Education, 20 5: 834-848. Gates, Jeff (2003) Wear plate and materials selection for sliding abrasion. Australian Journal of Mining, 16 184: 28-32. "Impact-Abrasion": Has its time come ... and gone? Gore, G. J. and Gates, J. D. (2000) "Impact-Abrasion": Has its time come ... and gone?. Materials Australia, 32 4: 13-15. Gore, G. J. and Gates, J. D. (1997) Effect of hardness on three very different forms of wear. Wear, 203-204 544-563. Gates, J.D., Lai, W-Q, Wen, P-S, Hope, G.A. and Holt, S.A. (1995) Synergistic corrosion-abrasion of cast wear-resistant materials in HN03. Cast Metals, 8 2: 73-90. Gates, JD, Atrens, A and Smith, IO (1987) Microstructure of As-Quenched 3.5 Nicrmov Rotor Steel .3. Carbide Precipitation. Zeitschrift Fur Werkstofftechnik-Materials Technology and Testing, 18 10: 344-353. Gates, J. D., Atrens, A. and Smith, I. O. (1987) MICROSTRUCTURE OF AS-QUENCHED 3. 5 NiCrMoV ROTOR STEEL: PART II. DOUBLE DIFFRACTION. Zeitschrift fuer Werkstofftechnik/Materials Technology and Testing, 18 6: 179-l85. Gates, JD, Atrens, A and Smith, IO (1987) Microstructure of As-Quenched 3.5 Nicrmov Rotor Steel .2. Double Diffraction. Zeitschrift Fur Werkstofftechnik-Materials Technology and Testing, 18 6: 179-185. Gates, JD and Jago, RA (1984) Breakdown of Stabilization in Type-444 Ferritic Stainless-Steel. Metals Forum, 7 1: 38-45. Gates, J. D., Gai, X., McInnes, L. J. and Arnold, D. (2003). Performance of clad plate versus other liner products in low-stress sliding abrasion. In: Peter Vrahas, WTIA Technology Week - Surface Engineering Conference. WTIA Technology Week - Surface Engineering Conference, Sydney, Australia, (1-15). 8-12 September 2003. Gates, J. D. (2002). Fragmentation of mild steel during demolition of the Royal Canberra Hospital: Metallurgy and public safety. In: Failure Analysis. IMEA International Conference on Failure Analysis, Melbourne, Australia, (1-8). 20-22 November 2002. Gates, J. D. and Jago, R. A. (1982). BREAKDOWN OF STABILIZATION IN TYPE 444 FERRITIC STAINLESS STEEL. In: Papers Presented at the 35th Annual Conference of the Australasian Institute of Metals: Competing in the World Market - New Technology for the Metals Industry., , , (82-85). .